Not many of us can afford daily deep tissue massages, but with a foam roller you can massage and flush your muscles right at home. 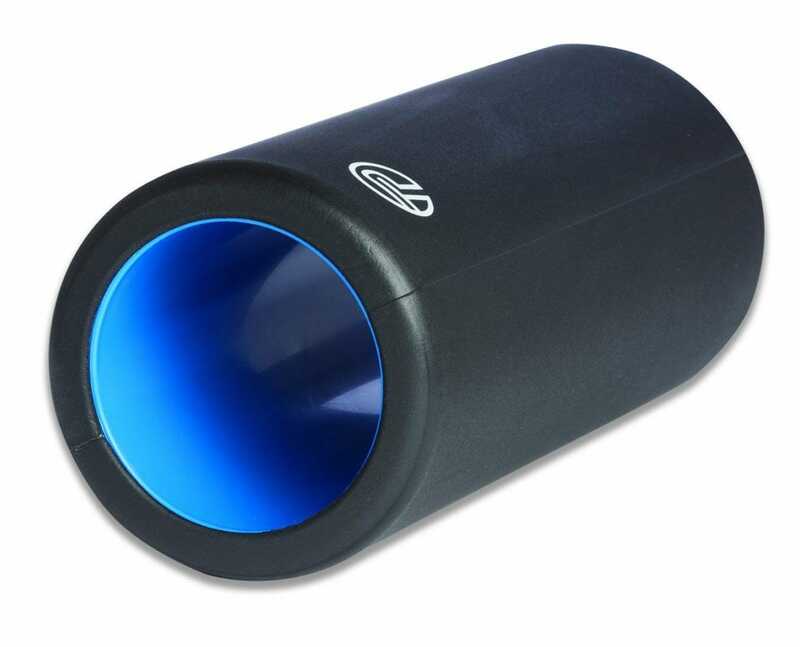 If you’ve had an intense workout and are still sore or tight after stretching, then maybe you need a muscle roller. By releasing the tension in your muscles (especially after they’ve been contracting and expanding during exercise), foam rollers can help you prevent future injury, improve flexibility, and even relieve stress by breaking up your tight muscles and speeding up post-workout recovery. Because your health is no joke, we’ve researched several different muscle rollers focused on your needs, budget, and functionality. Whether you’re concerned with price, size, muscle therapy, or portability, we’ve got you covered. The BalanceFrom High-Density Foam Roller is definitely the best bang for your buck. With 4 sizes to choose from (12, 18, 24, and 32 inches long), you get an extra firm and dense foam roller with a smooth surface that won’t bend or move even after heavy use. Feel the difference in your body’s soreness after a long run or heavy lift after placing the BalanceFrom on the floor and rolling your muscles over its surface. Whether you want the 32-inch roller for a full-body massage, the 12-inch roller for a more targeted stretch, or the 18- or 24-inch rollers for any type of stretch in between, you’ll find that the BalanceFrom is a great option for combined price and functionality. This simple foam roller is even great if you’re just starting physical therapy as well because you can cheaply target any of your muscles and figure out which size is best for your needs. While the BalanceFrom Foam Roller can relieve the tension in your muscles, you may be looking for an even deeper massage. The 321 STRONG Foam Roller has 3 unique massage zones (or raised textures) that mimic a therapist’s hand during a massage so you can get rid of that pesky muscle or joint soreness. One zone has a concentrated amount of small projections that represent the thumbs in a massage. Another zone has longer projections that mimic fingers, and the last zone, which is the biggest and gentlest of the three, represents the palms. All three zones combined use varying degrees of pressure to give you a deep-tissue massage which helps flush by-products, like lactic acid, out of your muscles. Plus, a tissue roller with intense texturing like this one should prove more effective than a smooth surface one. 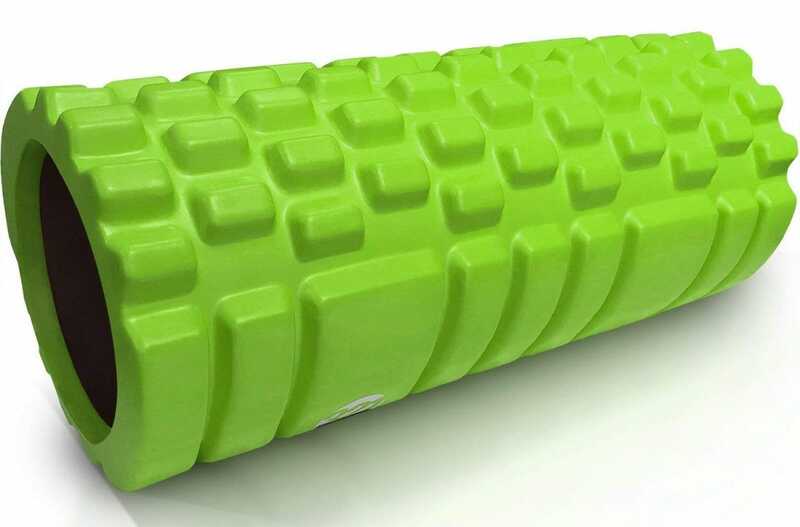 The 321 STRONG Foam Roller is about 13 inches long, and comes in 9 different colors. Lastly, this foam roller can withstand up to 500 pounds, so you know it’s durable and won’t crack like cheap hollow foam rollers can. 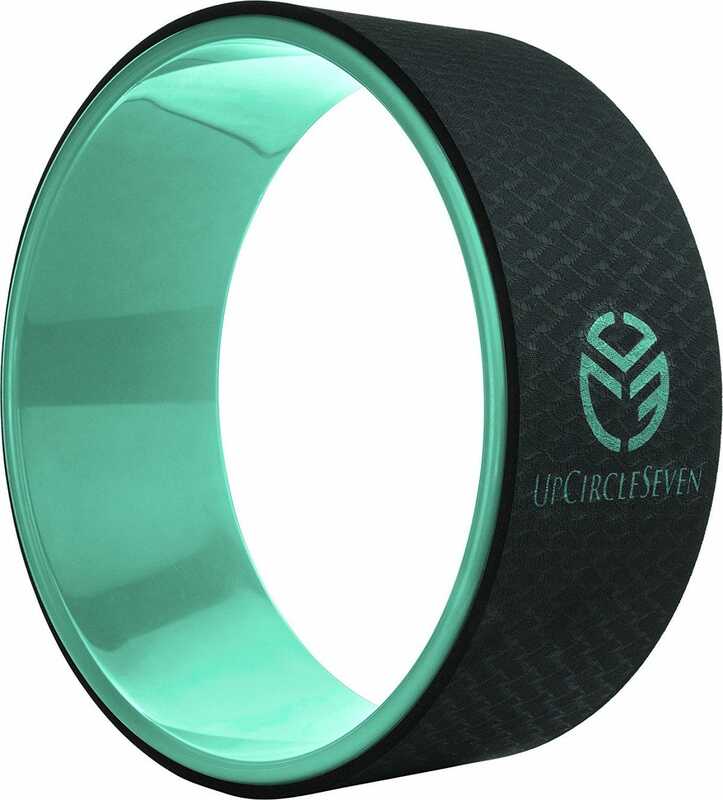 If you’ve read our article on yoga accessories, you already know how we feel about the UpCircleSeven Yoga Wheel. Not only can this wheel help you with your yoga poses, but it can also open up and stretch out your back. The UpCircleSeven can withstand up to 550 pounds, and won’t flex under pressure (even though it’s a hollow 12×5 inch wheel!). This wheel also has thick padding that cushions your body as you roll on it. Plus, the wheel’s outer surface is only 5 inches wide, so it can roll out the muscles between your shoulders that normal (and longer) foam rollers can’t even reach. This makes the UpCircleSeven an effective tool for stretching out your upper and lower back, whether you do yoga or not. If you’re just starting out with a foam roller, you may be more comfortable with a hollow style like the Pro-Tec Athletics Hollow Core Foam Roller. Smooth hollow rollers tend to be less dense, providing less pressure to your muscles than a solid roller would. With less pressure, you’re less likely to feel as much pain while stretching out and breaking up your muscles with the roller. Just because this roller is hollow doesn’t mean it isn’t sturdy! With its thin outer layer of foam and strong plastic interior tube, the Pro-Tec just as durable as a solid roller. And since it’s hollow, you can travel more easily with it—just put it in your bag and tuck your clothes or belongings in the length of the tube (which is 13 inches long). If you’re looking for more portable foam roller than the Pro Tec, then check out the Brazyn Morph Trek Foam Roller. 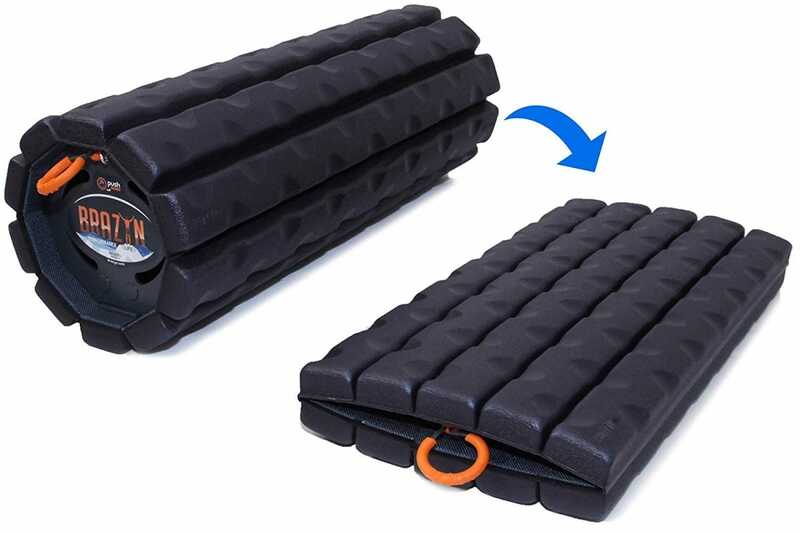 It’s a collapsible foam roller that is 1.5 pounds and only 14.5 x 6.25 x 1.85 inches in size when it’s flat. Just pull on the ropes at the end of the collapsed roller, and you’ll quickly get a sturdy muscle roller! To collapse the Brazyn, push both of the circular tabs on the sides of the tube. 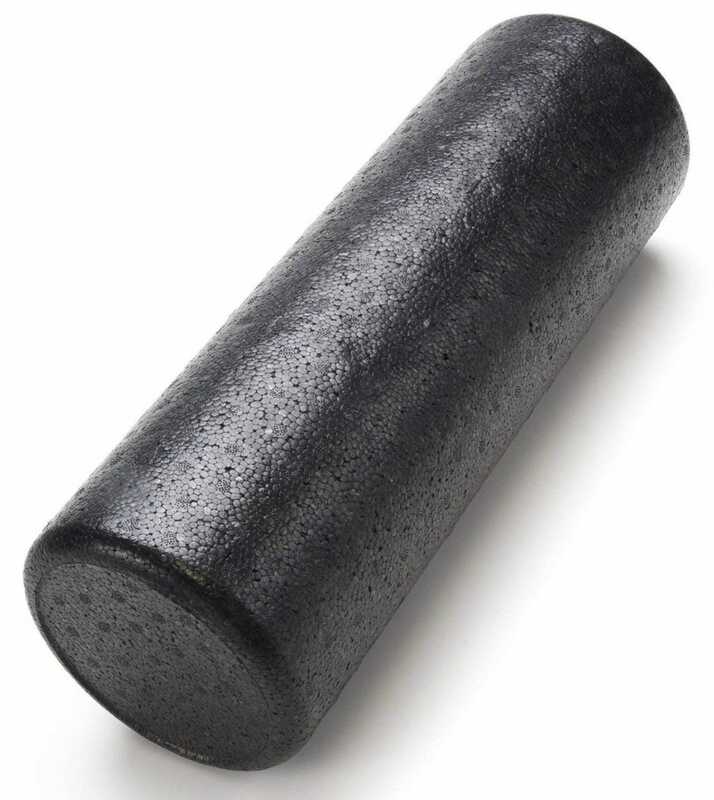 This roller is made of a medium foam that’s not too soft or hard—perfect for those who want a simple stretch and massage after a long workout. Not only is the Brazyn great for targeting your muscles with the nubs on its surface, but it’s also sturdy enough to withstand up to 350 pounds. Roll out those knots and back pain, especially after a long car ride or airplane trip! I’m not the biggest fan of the iPhone X because I still want my bezels, dammit. However, it’s inspired Android to take on gesture navigation and so far, it’s an excellent change.